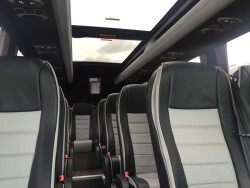 ﻿ 16-19 Seater Sprinter - AMZ Borssele - Uw reis verzorgd van A tot Z! 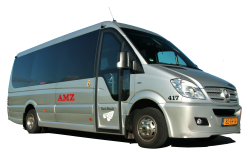 Finding suitable transport for small groups can be a challenge. 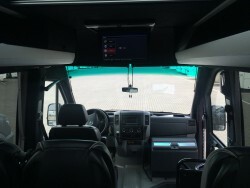 Regular minibuses may not offer the comfort and facilities that your clients request. 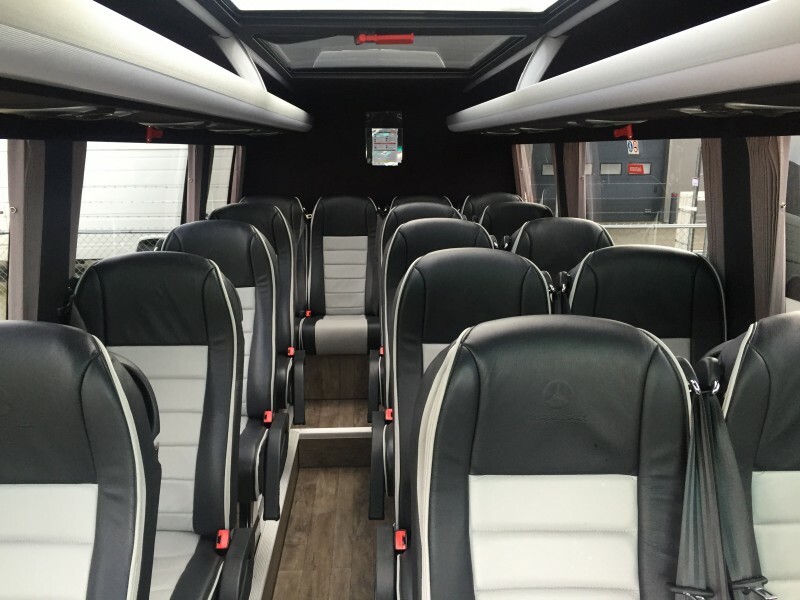 Our luxury Sprinters are the answer to your search. 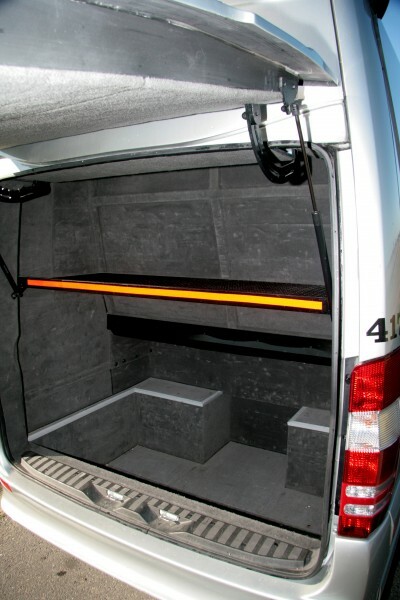 These vehicle seat up to nineteen people on leather seats with individual lighting and ventilation control. Equipped with air-conditioning and double-glazed, tinted windows the coach offers the same climate control as full-size motor coaches. 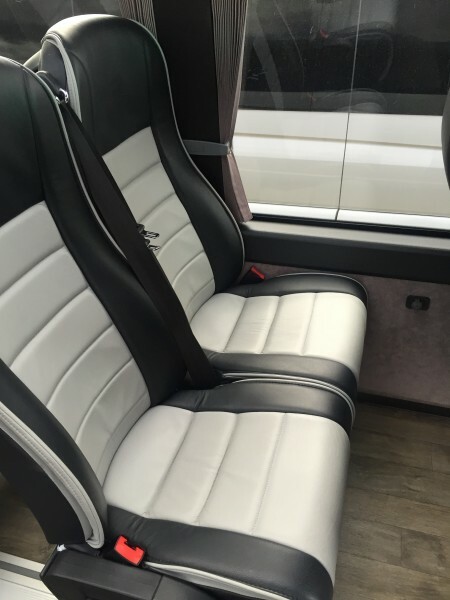 The facilities your clients will expect to find are all there. 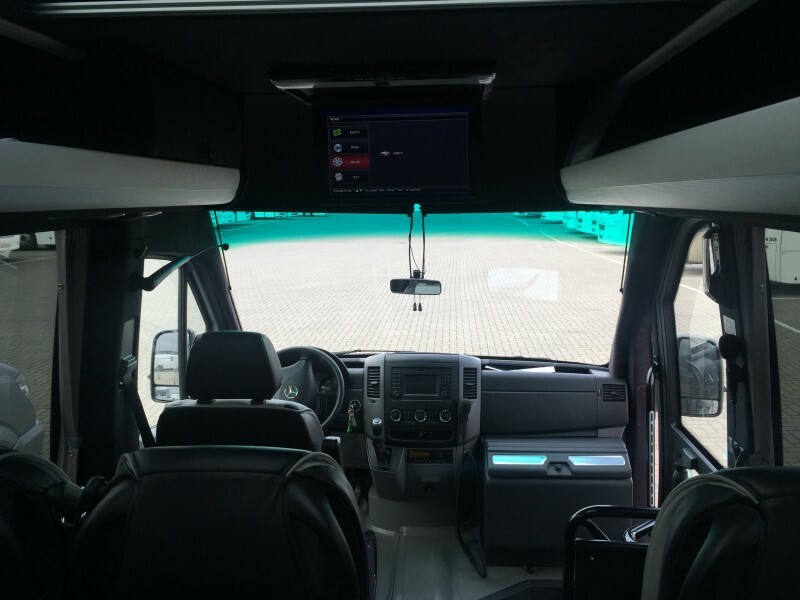 A refrigerator, USB charge points, and an entertainment system with a 19” flat-panel display and a full PA system make this just as much a luxury coach as its bigger brothers. 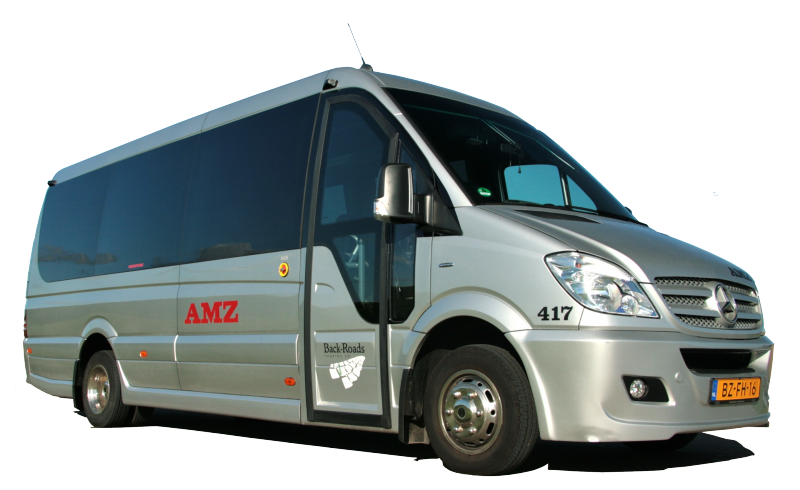 Its reduced length however, means that it can get to destinations that are unreachable for regular coaches. In short, it is the perfect vehicle for transporting small but demanding parties.